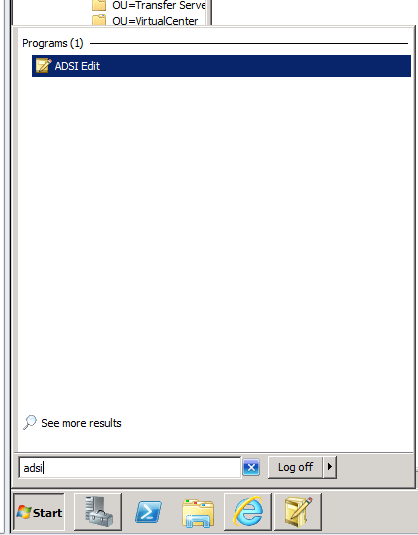 With Horizon View, if you want to publish servers in desktop mode, such as publishing Server 2008 R2 as a desktop, you’ll have to make some changes within ADSI Edit. The change is fairly straightforward. Here’s a quick tutorial on how to get it done. 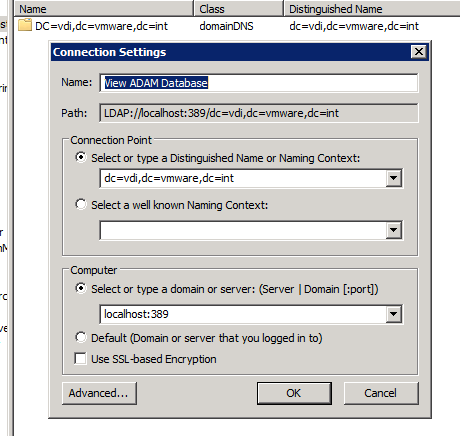 Browse out to View ADAM Database, DC=…, OU=Properties, OU=Global, and double click on CN=Common. 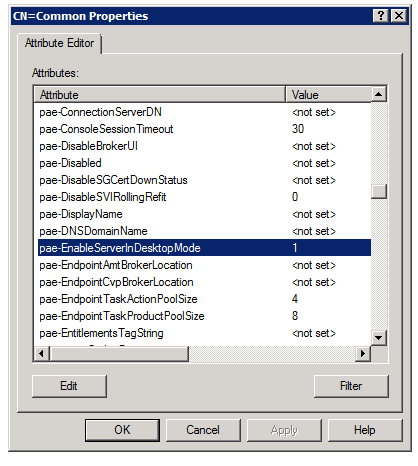 Scroll down to pae-EnableServerInDesktopMode and change this option to 1. That’s it! Just as the name of the switch implies, you’ll be able to enable publishing servers in desktop mode.